Mrs. Marylin Ann Brumleve Stowers, age 85, of Brandenburg, KY, passed away on Monday, October 15, 2018, at her residence. Mrs. Stowers was born December 21, 1932, the daughter of Charles Leo and Anna Mary Schuppert Brumleve. 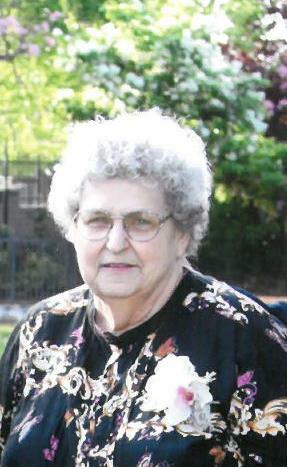 She was a member of St. John the Apostle Catholic Church; she loved sewing and quilting, especially for her family; and she volunteered at the Meade County Clothes Closet for many years. Mrs. Stowers was preceded in death by her parents; eight brothers; and one sister. She is survived by her loving husband of 66 years, Louis C. Stowers; four children, Terry Stowers, Washington, DC, Carol Quan, Valencia, CA, Glenn Stowers, Yosemite, CA and Robert Stowers, Brandenburg, KY; six grandchildren; and several step grandchildren. A Mass of Christian Burial will be held at 10:00 AM on Tuesday, October 23, 2018, at St. John the Apostle Catholic Church, with Rev. Kevin Bryan officiating. Visitation will be held at the church from 9:30 AM until the time of mass on Tuesday. Expressions of sympathy may take the form of contributions to the Meade County Clothes Closet, 2320-5 By Pass Road, Brandenburg, KY 40108.